Is there a way to send a different thank you response based on certain questions asked? Yes, that's possible using "Conditions" feature. Click on "Setup & Share" tab on the toolbar and then click on "Conditions" button. 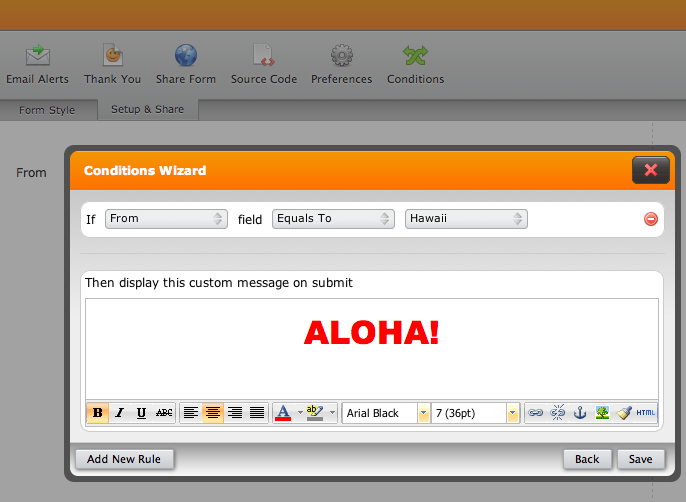 Then create a condition and make it "Change Thank You message after submission" if the condition is matched.